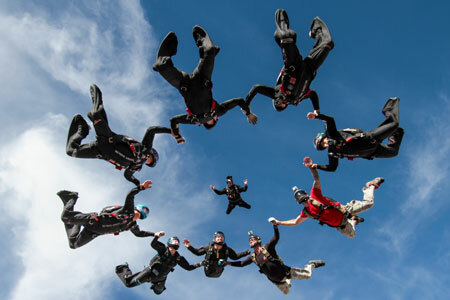 Working in close cooperation with Operation Enduring Warrior, AXIS Flight School actively supports wounded veterans who want to enter the world of skydiving. Once a candidate is selected to receive support from OEW, AXIS develops a highly customized and specialized training plan for that student. This includes coordinating necessary equipment modifications directly with skydiving manufacturers, and developing customized SOPs based on the wounded vets personal injuries. Some of the challenges that have been worked around include amputations, PTSD, severe burns, and paralysis. AXIS Flight School has assisted multiple OEW students in reaching their USPA A-License and beyond. 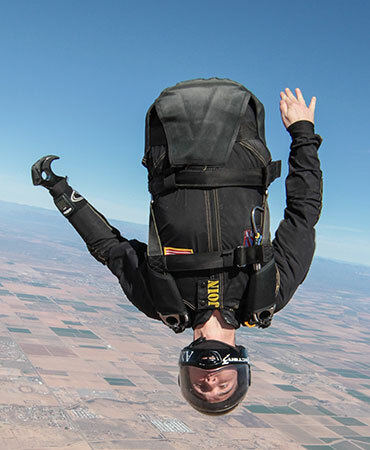 AXIS uses a variety of training methods including, but not limited to: wind tunnel training, training tandems, instructor assisted deployments (IAD), accelerated free-fall training (AFF), and a customized canopy coaching curriculum. Our goal is for each student to become as independent as possible, while at the same time find a unique social group to become a part of. You can find many more inspiring videos on our Playlist «Operation Enduring Warrior».